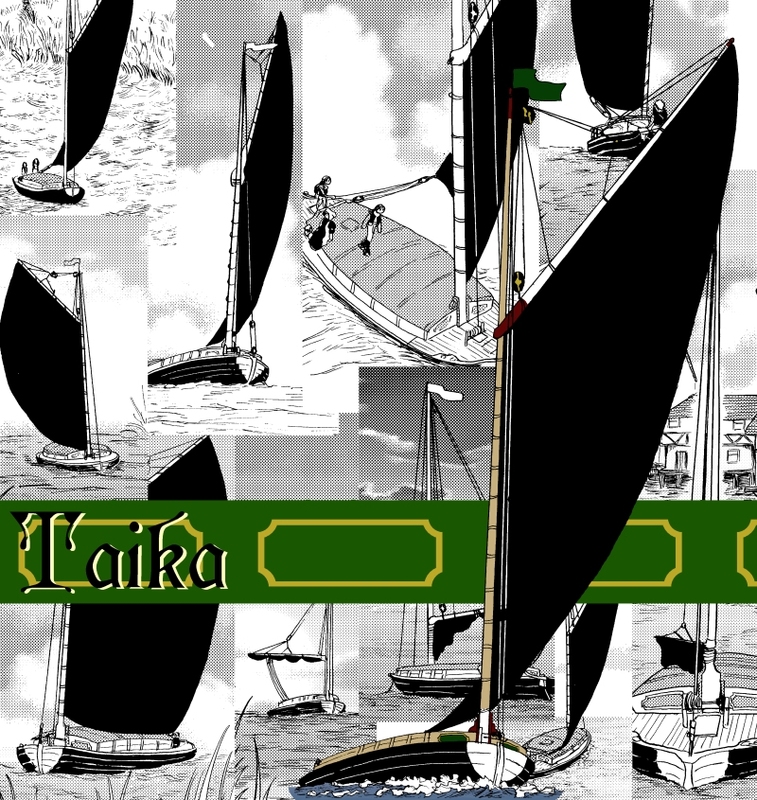 The “Taika” is Kirill and Arika’s trading wherry, and her design is based on the Norfolk wherries that once plied the Norfolk Broads of East Anglia. The first recorded wherry dates from the seventeenth century, and there is still one left sailing, the “Albion” of the Norfolk Wherry Trust - she was actually carrying cargoes until the 1960s. Norfolk wherries are unique and beautiful boats, and I couldn’t resist the chance to “have” my own in this comic. I love drawing the sailing panels, the tension of tiller and mainsheet and the movement of the boat to wind and water. I used to sail - dinghies, not wherries - and it is so much fun to be able to put something like that into the background of a comic. Which is why I do it quite a lot ;) (if anyone is interested, the design of Ember’s boat in Sun Fish Moon Fish is based on my little dinghy). But this is the first time I’ve spent so much time of a comic on or in such a large boat, and the wretched things are curved, making perspective that much harder! I’m not sorry. I’ve really enjoyed drawing her, and I will miss it when the comic finishes. I am indebted to David Bray’s booklet “The Story of the Norfolk Wherries”, which gave me much needed reference material for the “Taika”.